Spring is coming, and with that means Easter is just around the corner. If you are heading out to an Easter brunch or are hosting an Easter celebration in your home, you will want a new recipe to try out. 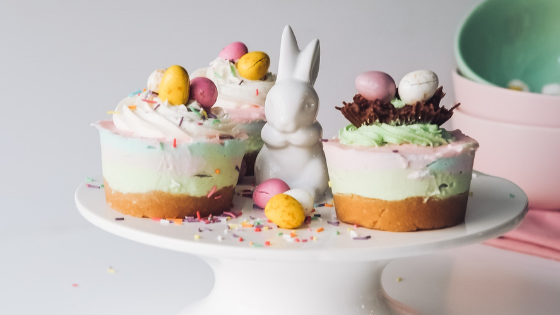 Here are some winning Easter recipes anyone living in Centennial apartments can easily make. Take your green beans up a notch with this sweet and salty recipe. To start, take 2 pounds of fresh (not canned) green beans. Add them to a pot of boiling water, cooking for about 4 minutes. Drain and run under cold water. Next, cook up six slices of bacon until crisp. Next, heat ¼ cup of olive oil over medium heat, and cook four cloves of garlic until brown. Stir in ¼ cup of apricot jam and 3 tablespoons of white wine vinegar. Add the green beans and bacon, and toss. If green beans aren’t your thing, consider this carrot recipe. Take 2 ½ pounds of small, thin carrots and clean them thoroughly. Then, heat your oven to 425 degrees. Toss carrots in 2 tablespoons of olive oil and some salt and pepper. Cut a naval orange in half, and lay the carrots and the orange, cut side down, on a baking sheet. Roast for 25 to 30 minutes. Move the carrots to a platter, then, using tongs, squeeze the orange juice from the orange half into a bowl. Whisk it with 1 tablespoon olive oil, 1 tablespoon fresh lemon juice and 2 teaspoons of honey. Spoon the juice mixture over the carrots and sprinkle them with sesame seeds before serving. This recipe is easy and festive! Grab your favorite sugar cookie recipe and make one large egg-shaped sugar cookie. Then, top it with cream cheese frosting made from 12 ounces of cream cheese, 6 tablespoons of unsalted butter, 1 teaspoon of vanilla and 2 cups of confectioner’s sugar. Slice your favorite fruits and arrange on top in an Easter egg design. Are you ready to cook up these tasty treats? Check out the beautiful kitchens in the Centennial, CO apartments at the Apartments at Greenwood Plaza to see just how much fun it can be!